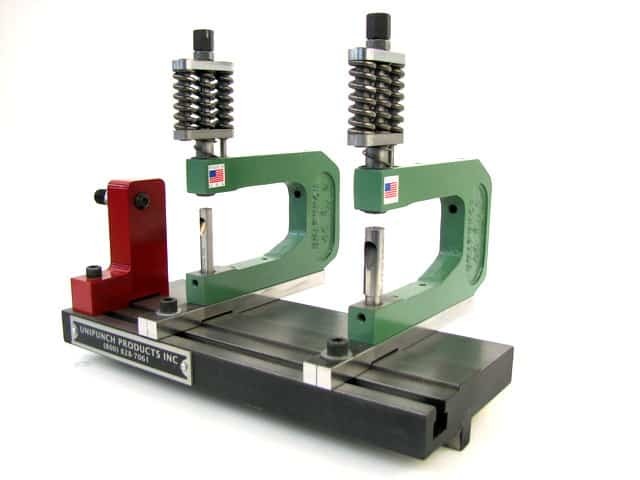 The UniPunch modular tooling system will operate in a variety of standard press equipment. To accommodate these presses, UniPunch offers a broad range of mounting equipment to fit your requirements. Also provided are customized press mounting products. Contact UniPunch with your specific press mounting requirements. 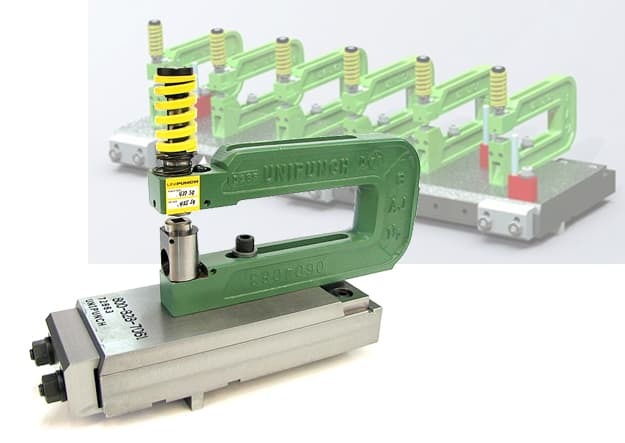 For mounting UniPunch A or B series tooling in press brakes. Primarily used for straight line hole punching and accepts ½” (12.7mm) thick strip templates to accurately position the pilot pins of UniPunch units or Unispacers for prototype applications. 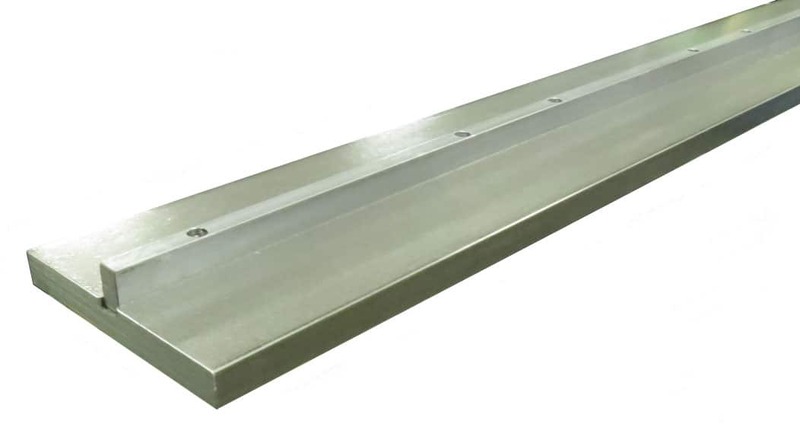 Bed rails are available in lengths up to 12’ long and the 5100 bed rail will accept a press brake bending die. Contact UniPunch for custom lengths to fit your press requirements. For mounting UniPunch G series fixed base or adjustable base tooling in press brakes. This bed rail contains one front T-slot and a top surface mounted bar key that is compatible with the G series unit bases. For mounting UniPunch A or B series tooling in press brakes. This base plate system is designed for use with dovetail style templates dedicated to your specific part hole pattern. The template can be quickly locked into position utilizing built in clamps for fast changeover of tooling at the press. Simply slide-lock-punch. The 5202 system is available in lengths up to 12’ long. For mounting UniPunch A or B series tooling in presses with large bed and ram areas. 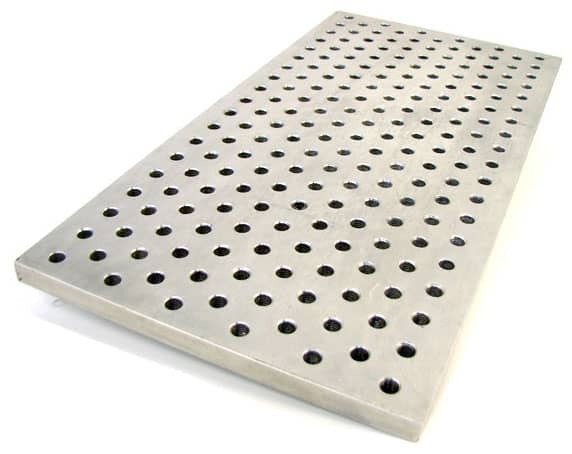 These steel plates are available in widths from 12” to 30” for punching and notching larger parts and for parts with complex hole patterns. The thin template or template over die method is recommended when mounting UniPunch tooling onto T-slot plates. For mounting UniPunch A or B series tooling in presses. Made of ¾” (19.05mm) thick steel plate, completely covered with a uniform pattern of ½-13 tapped holes for bolting units into position. The thin template over die method is recommended when mounting UniPunch tooling onto Universal Base Plates. For mounting UniPunch A or B series tooling in presses. 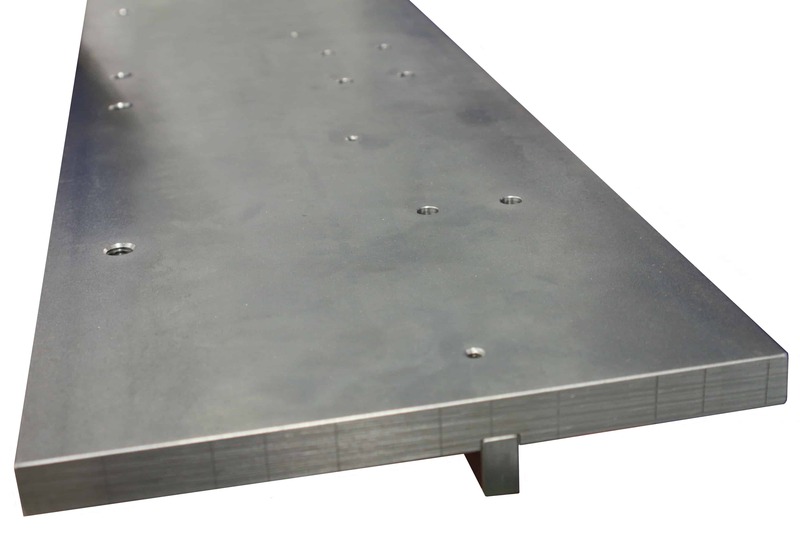 Steel template plates are available in ½” (12.7mm) and ¾” (19.05mm) thickness. Keyed mounting templates are also available. They are designed to mount in the press brake tang and are typically ¾” (19.05mm) thick. Drilled and tapped holes are machine marked for unit and gauge positions. UniPunch will recommend the mounting template width and length based upon your part specifications. For use as tooling striker plates in press brakes. 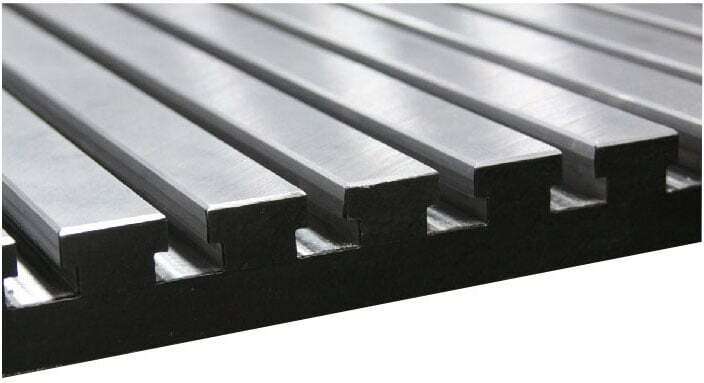 UniPunch steel ram plates are ¾” (19.05mm) thick and are available in various lengths up to 12’ long. UniPunch offers part gauging stops, part feed supports, wrenches and hold down bolts to complete the modular tooling system. 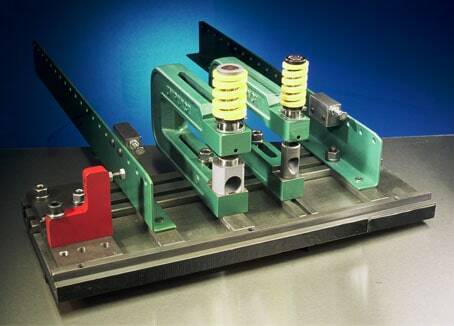 Accessory items are designed to be used in conjunction with UniPunch mounting rails, base plates and templates. 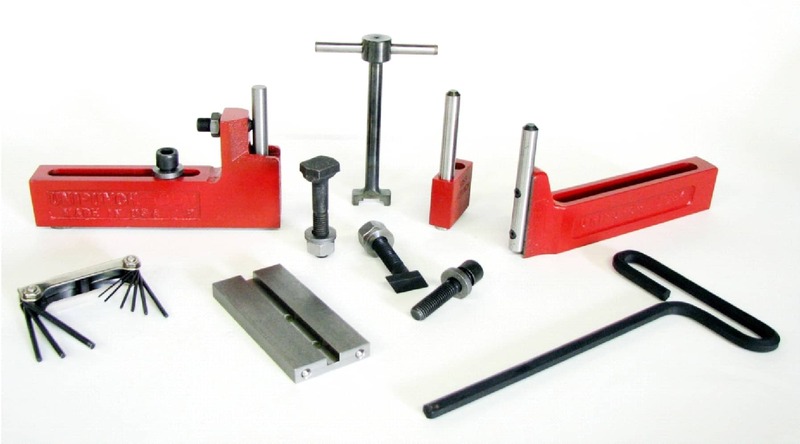 Custom part gauging, supports and clamping devices are available.